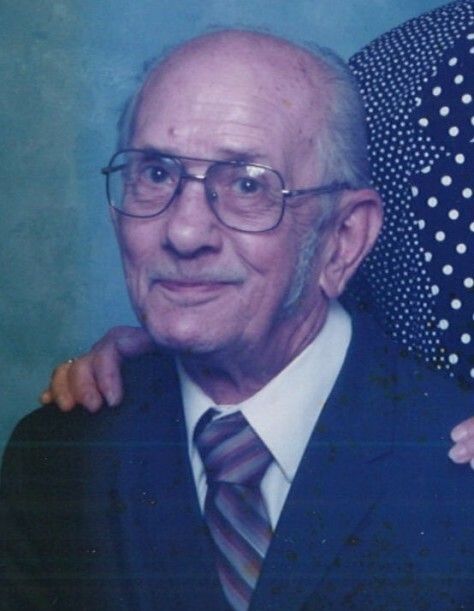 William Herbert “Herb” Campbell, 93, of Dennison, Illinois, passed away April 2, 2019 at 5:00 a.m. He was born to Mastin S. Campbell and Gerda A Pollom on August 2, 1925 in Center Point, Indiana. He graduated from Clay City Indiana High School in 1943 and From Indiana State University in 1948, where he was a member of Alpha Sigma Tau Fraternity. He was a 50 year member of Past Master of Masonic Lodge # 597 at Center Point, Indiana. He was a life member of the Clay County Genealogical Society. He retired from Norm’s Paint & Glass Co. in 1990. He had previously worked at PPG for a number of years. He attended Dunlap Methodist Church near his home in rural Dennison, Illinois. He married Marcella R. Kincaid on August 29, 1949, in Columbus, Indiana. He was preceded in death by his parents, his son, James Michael Campbell in 2000, his sister Freida Fisher and a niece Mary Sue Burden. Herb was a loving and compassionate husband and father. He will be greatly missed. Services will be Monday, April 8, 2019 at 1:00 p.m.(DST) at Fitzpatrick Funeral Home, 220 N 3rd Street, West Terre Haute, Indiana. Visitation will be held on Sunday, April 7, 2019 from 4:00 p.m.- 8:00p.m. (DST) at the funeral home, also 1 hour priory to services Monday. Pastor Stacy Tomich will be officiating; burial will be in Roselawn Memorial Park. If friends so desire, memorial contributions may be made to a charity of your choice.